Y Night is created for our youth and young teens so they can enjoy a fun-filled evening with friends in a safe, supervised environment. Activities include open gymnastics, dodge ball, 3 on 3 basketball and dancing. Participants can also visit the complimentary ice cream sundae bar, or purchase a snack from our concession stand. 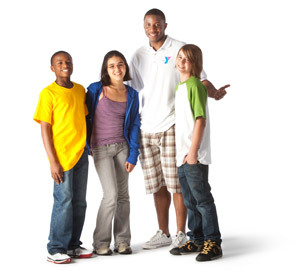 The Y has professional leaders to oversee all Y Nights. Dance Your Heart Out All Summer Long! 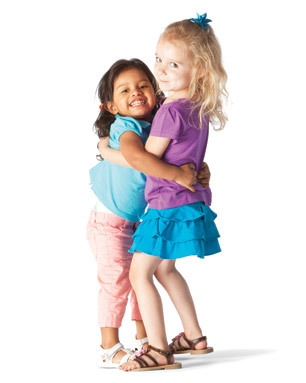 The Lakewood-Trumbull Y offers fun, Summer Dance Clinics for children aged 5 and up. Every day dancers engage in captivating disciplines and activities led by professional dance teachers. At the Y, kids learn important life lessons such as team building, good sportsmanship, and the importance of self-esteem all while having a great time! This clinic is designed for kids who love to dance to the most popular tunes of the summer! Students are exposed to different dance disciplines each day such as acrobat dance, hip-hop, jazz, musical theater and tap infused movement that validates each child’s personality and personal style of dance. Dancers will also experience the outdoors with a fun water activity day and Dance crafts they can take home as souvenirs of a great summer! Our Dance Fusion clinic is for juniors and teens looking to explore their inner dancer by experiencing a variety of dance styles. Styles include ballet, jazz, modern, tap musical theater and more. During this clinic, dancers will be a part of creative dance exercises that encourages freedom of expression through basic modern movement infused with other styles and techniques. This clinic will also incorporate the outdoors with a water activity day and fun dance crafts they will love. It’s the perfect place for fun and discovery of your own personal movement! Swim with CONFIDENCE, Bike with laughter, Run like the wind! 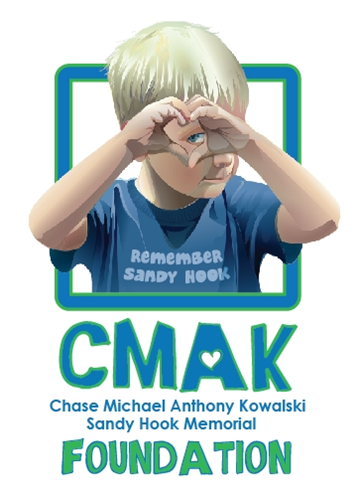 In collaboration with the CMAK (Chase Michael Anthony Kowalski) Foundation, the Woodruff Family YMCA is proud to present a free six week, Monday-Friday, life-changing triathlon program. 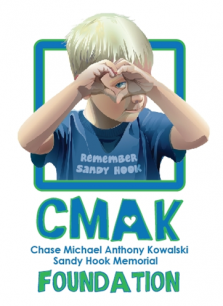 Have your child learn to Run, Bike, and Swim like Chase did! Not only will your child be incredibly active over the summer, but they will make new friends and develop a healthy confidence they will carry for the rest of their lives. TO REGISTER: Fill out the a 2019 Program Application to be considered for this program. Applications are due by April 15, 2019 to Jen Arnone at jarnone@cccymca.org or 20 Trefoil Drive, Trumbull, CT 06611. Learn the fundamentals of ballet through fun floor work, barre, and combination exercises that challenge your inner princess! Dancers will have the opportunity to dress up as their favorite princesses while participating in fun ballet games that will have them spinning on their toes all fall long! Class begins on April 23 and runs for 8 weeks. Tiny Dancers with Lots of Moves! Register for Tiny Tutus Dance Class! A series of fun movement and games, this class is for walkers and their grown-up companions to take a wonderful opportunity to stretch and play together. Traditional ballet positions and moves have been modified and adapted to a playful format and to fun music your baby will enjoy! The Spring Session begins April 23 and runs for 8 weeks. Saturday, April 27 10am-1pm at the Lakewood-Trumbull Y Family Outdoor Center, 204 Stanley Road in Monroe! This event is FREE and open to the public. 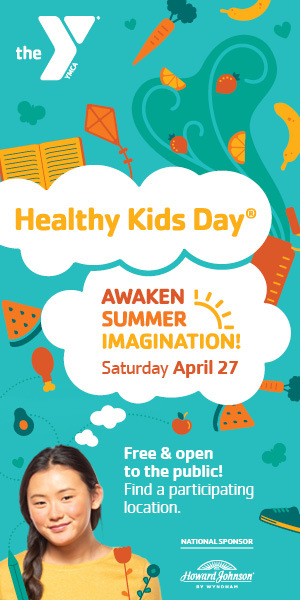 Our Healthy Kids Day event includes: Fun Inflatables, Gardening Activities, Face Painting, Kids Zumba, Karate Demos, PiYo, Hiking, Safety Around Water Demos, Live Animals and more! The Y Dance Program has been motivating and helping our community for over 10 years by providing a nurturing environment, where boys and girls ages 2 through adult, can learn to appreciate dance as a lifelong activity for self-expression, grace, strength, agility, creativity and balance. Through our trained and competent leaders, your child will receive a quality dance experience that will grow their confidence as they form new friendships that could last a life time. Our program includes classes for beginners through advanced for both performing and non-performing students. The Lakewood-Trumbull YMCA gymnastics team has been inspiring and helping children achieve their goals since the 1980’s. Through the years the Y has produced multiple State and Regional champions as well as State and Regional team championships. Our gymnasts learn, through fun and discipline, the ability to achieve their goals. We believe that if a child believes in themselves and trains hard, then anything, even the amazing sport of Gymnastics can be achieved. Need some time to spend with your exceptional child aged 4 – 13 in a fun unstructured environment, after a long week of organized activities? Please join us on Sundays from 10:15 – 11:15am for one hour of open gym. Your child will enjoy jumping on our trampolines, rolling through our block pit, hanging from the bars and practicing their balance on the beam with your supervision. This is a drop in activity. Students of the discipline, Cheezic Tang Soo Do, learn karate as a complete discipline (mind, body, spirit), which develops physical defense and encourages the formation of high personal standards and respect for others. Cheezic Tang Soo Do Karate discipline has had a long tradition with the Lakewood-Trumbull YMCA. For over 20 years, Master David DeGuzman (7th degree Dan) has brought the thrills and experience of martial arts to Y members. Begin your children with the fundamentals of martial arts and watch them grow in confidence and ability. Let them learn more about who they are while they develop self-defense skills in a responsible method. Little Ninjas is for everyone and all abilities. Open to all ability levels: beginner, advanced and a family level. Our experienced instructors will guide students through progressive skill development based on age and grade. Study the art of self-defense with a sparring and weapons class! Includes combat skills, fitness, self-cultivation (meditations), mental discipline, and character development. More importantly, build your self-confidence with an incredible experience in these programs! What do you get when you take preschool gymnastics and add learning a,b,c’s and 1,2,3’s: A clever new approach to learning called DISCOVERY DOLPHINS! This seasonal PRESCHOOL DROP-OFF program will have your child exercising for 45 minutes of gymnastics followed by a story and craft, all centered around weekly themes. This class is perfect for the child who attends preschool two days a week but could use one more day of activity or fun with friends! Gymnastics is a long-standing tradition of YMCAs and we provide exceptional gymnastic experiences for all ages and abilities. Our leadership team is dedicated to programs that increase agility, flexibility and strength while the utilizing the unique amenities of our 6,000 square foot facility. All participants have the opportunity to develop their ability through the use of an in-ground trampoline, full-sized TumbleTrak, and 400 square foot foam safety pit. Through the use of female and male Olympic equipment, the Lakewood-Trumbull YMCA’s team is able to deliver a program that creates life-long memories and community. Hoppin Tots (Progressive parent/child class which begins the exploration of quicker movement and sharper decisions). Tumbling Tigers, Flipping Frogs, and Acro Cats are available for the growing participant on their way toward school-age gymnastics. Open to all ability levels (beginner, intermediate and advanced), our experienced leadership staff is trained to guide participants through progressive skill development based on age and grade. These programs are held at the Lakewood-Trumbull Y on Tuesday, Wednesday, and Friday afternoons plus Saturday and Sunday mornings. 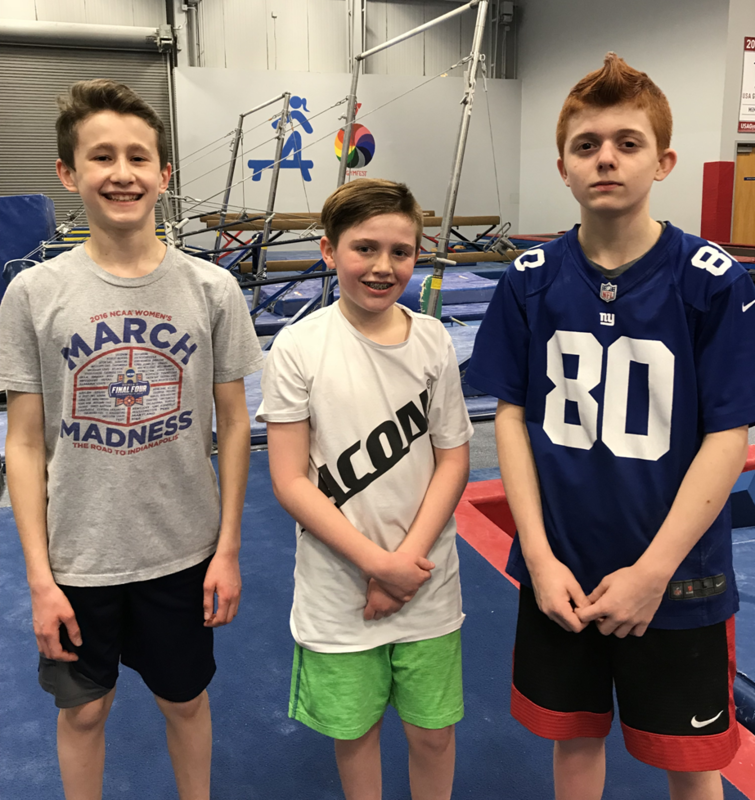 Volunteerism has always been strong at our Y, and Parkour is a demonstration of how powerful it can be as a 15 year old volunteer pioneered this program for his community. Through his work and a fantastic setting at Camp Tepee, Parkour at the Y has evolved into an indoor and outdoor program that allows a safe place to practice what is known among its participants as the art-of-motion; a martial art “flight” discipline in which practitioners move in the most efficient and quickest method from point A to point B. Team sports at the Y build character and self-esteem. Participants cultivate values, skills and relationships that lead to positive behaviors, better health and educational achievement. Kids will not only learn the fundamentals and how to work together on a team, but also who they are and what they can achieve. Our programs include gymnastics, dance, soccer, basketball, baseball, tennis and more. We also offer more advanced classes for children who have taken our sports classes before. All programs are shared in our current Program Guide, located on our Home Page. Our specialty parties are designed to make your child’s party the BEST EVER! We offer party packages to fit everyone’s needs. Our parties provide 90 minutes of fun, smiles, and excitement with a specialty activity in our party room. A host is provided to help make your party run smoothly. Parties offered on Saturday and Sundays. We are delighted to offer you a fun-filled, memorable party with a lot of excitement! Our friendly, trained staff is here to help you from the moment you arrive until all your guests depart. We will guide your birthday child and their guests on an adventure through our gymnastics obstacle course. Our team will instruct them as they enjoy bouncing on our in-ground trampoline and jumping down our forty-foot TumbleTrak that leads to a 400 sq. ft. foam pit. This adventure ends with everyone’s favorite…the parachute. A full listing of party options, days and times can be found on our Home Page in our current Program Guide.